AeroVironment, Inc. (NASDAQ: AVAV), a global leader in unmanned aircraft systems for both defense and commercial applications, today announced its MacCready Works lab has donated automated Quantix™ hybrid drones, spare parts and AeroVironment’s Decision Support System (AV DSS™) analytics software to West Point to support the military academy’s Center for Innovation and Engineering and Geography and Environmental Engineering Department. West Point cadets will deploy two Quantix systems as part of the collaboration. The Quantix system is a fully integrated drone, sensor and software information solution for collecting and using aerial imagery that is as easy to use as an app. The drone’s robust hybrid VTOL technology allows Quantix to operate effectively in a variety of conditions so cadets can collect data and create actionable intelligence when and where they need to. This donation is part of AeroVironment’s ongoing support for West Point cadets and the company’s commitment to supporting those who defend freedom. The company also hosts West Point cadets as interns at AeroVironment’s California facilities and hopes to collaborate on future projects with West Point. 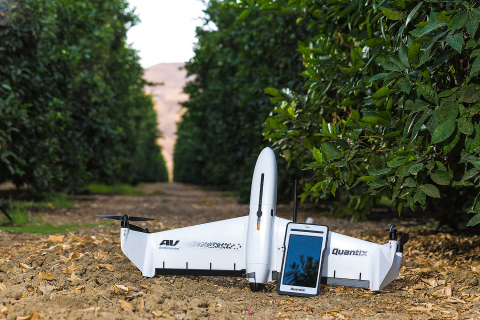 Further supporting American troops and first responders, AeroVironment offers a rebate on the purchase of a new Quantix and AVDSS ecosystem bundle to active and veteran United States military personnel and active and retired law enforcement and fire fighters and their immediate families. Visit https://www.avdroneanalytics.com/veterans-rebate/ to learn more.